by appointment EVERY MONTH, ANY DAY ! Call or email to add your dates, or schedule individual training with our Unique Workshop Packages! BUY NOW! Copies are in High Demand. Already on its Second Print Run from Sell outs. 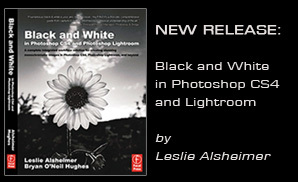 Learn how to make the most of the new black and white features in Photoshop CS4 and Photoshop Lightroom - this book shows you all you need to know! THE professional reference guide written by a freelance photographer with contributions from an Adobe insider! Save time with your workflow and learn professional techniques to improve your black and white photography. Black and white photography has come a long way in the digital world. Are you overwhelmed by the endless conversion options in (and around) Photoshop, Photoshop Lightroom and beyond? If so, then this is the book for you! With the in-depth explanations of workflows, methods, suggested practices and tutorials for black & white conversions found here in Black and White in Photoshop and Lightroom, you'll be on your way to creating stunning monochromatic images in no time as you learn which tool to use for a given project. A customized photography workshop designed to broaden and challenge your digital horizons in a relaxed SMALL group environment. We personalize the workshop experience and maximize return by valueing student instructor interaction. These workshops promise individual attention in a small group environment by limiting enrollment to 5 students per instructor. This is a workshop for anyone seeking to master digital imaging in the field through post production and output. We will cover everything from capture, workflow, camera raw, to using Lightroom, Adobe Photoshop, & Bridge and as a "digital darkroom" to enhance images for output in a calibrated environment. This exciting workshop will inspire and focus your skills via hands-on experience and a mixture of lectures, discussions, and critiques both in the field and the digital darkroom. We tailor digital lab time in Photoshop to suit your interests with a unique flexibility that few other workshops can provide. Our workshops focus digital darkroom lessons and tutorials designed specifically to suit your interests. For your convenience we work collaboratively with you on your own laptop computer, so that you are free to maximize learning based on your individual needs. We remove the frustration most schools, labs, and workshops initiate by eliminating the necessity to re-adapt lessons from school and lab equipment to fit your personal equipment and software. Each student will need to have a computer, If you don't have your own, arrangements can be made to rent one. I thought I knew a lot about Photoshop and digital photography. I'd read a lot of books and have been using Photoshop on an advanced level for several years now. I had gaps in my understanding I didn't even know I had. The Digital Vacation Workshop filled in a tremendous amount of missing knowledge. I was blown away by how much I learned in the Digital Vacation Workshop! As we customize Each workshop to suit the interests of the particiapants we also offer Layers, Masking, Advanced Selections, Color Correction, Compositing, Black and White Conversion Techniques, Gradients, Healing Brush, Patch Tool, Blend Modes, Vanishing Point and much much more! As each Digital Vacation is customized to accomodate the interests of the particpants attending, the itinerary will be sent 30 days prior to the workshop. 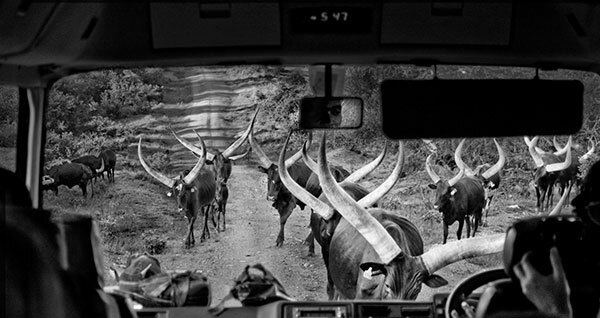 Leslie has taught numerous formal and private workshops at the Maine Photographic Workshops, American Photo & Nikon Mentor Series, The Santa Fe Workshops, and Anderson Ranch Art Center. See Workshops for other Course Offerings and Schedule. Why Choose Santa Fe Digital Darkroom Customized Photography Workshops? The Santa Fe Digital Darkroom Photography Workshops is a unique educational institution offering our clients customized and personalized one- on-one and small group digital photography training in Adobe Photoshop and Adobe Photoshop Lightroom, specifically designed to meet the needs of photographers and creative users. We specialize in creating customized Photoshop & Lightroom digital workshop training by working with our clients personally to build a curriculum specifically tailored to suit our clients interests and goals, as individuals or in small group environments. See the Workshop Experience for more details. Faster, more efficient, more economical, and more fun! Individual Instruction and Private Workshops available ANYDAY, EVERYDAY, YOUR WAY!